Make your business more efficient with a customized commercial office space from Beyond Storage. From innovative custom office furniture and workstations to specially developed reception areas and mail rooms, Beyond Storage designs, manufactures and installs all of the necessary components to create an efficient commercial office space. Common office organization and storage solution projects include conference rooms, training centers, mail and copier rooms, reception areas, workstations, desks, cubicles and more. 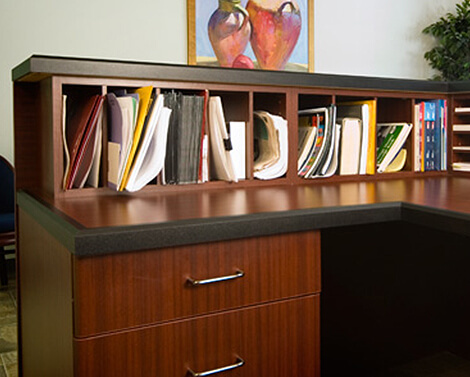 Beyond Storage offers a variety of commercial office space accessories to help keep employees organized. 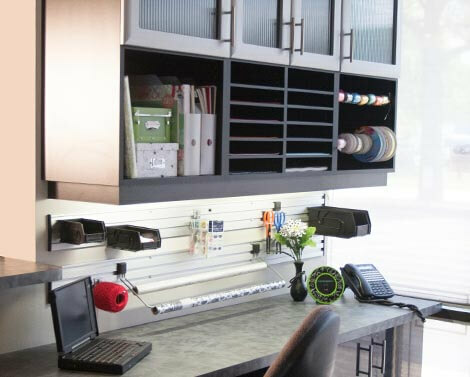 These accessories include large and small cubbies, slotted shelves, filing cabinets and holders and other storage solutions. Let one of our expert office designers create the perfect custom commercial office space for your work environment.